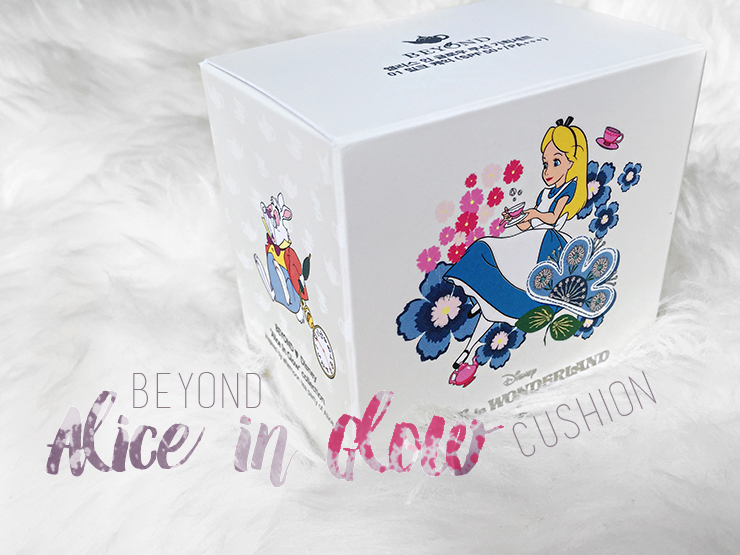 I finally had the chance to try out the gorgeous looking Alice in Wonderland themed cushion by Korean skincare company Beyond. It's been lying around since early spring, but I had A LOT of already opened make-up that I decided to use up before I open yet another cushion and let it all go to waste. 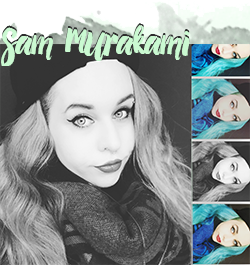 So I decided I used enough make-up these past months to finallyyyy have a good deep look at this beauty. Ingredients: Water, Triethylhexanoin, Titanium Dioxide, Dimethicone, Phenyl Trimethicone, Cyclopentasiloxane, Dipentaerythrityl Hexa C5-9 Acid Esters, Biosaccharide Gum-1, Butylene Glycol Dicaprylate, Phenylbenzimidazole Sulfonic Acid, Niacinamide, Tromethamine, Sorbitan Sesquioleate, Camellia Sinensis Leaf Extract, Sodium Chloride, 1,2-Hexanediol, Disteardimonium Hectorite, Zinc Stearate, PEG-30 Dipolyhydroxystearate, Aluminium Hydroxide, Stearic Acid, Distearyldimonium Chloride, Dimethiconol, Palmitoyl Proline, Triethoxysilylethyl Polydimethylsiloxyethyl Hexyl Dimethicone, Adenosine, Triethoxycaprylylsilane, Magnesium Palmitoyl Glutamate, Sodium Palmitoyl Sarcosinate, Sodium Citrate, Tin Oxide (CI 77861), Synthetic Fluorphlogopite, Tocopherol (Vitamin E), Palmitic Acid, Dipropylene Glycol, Mica (CI 77019), CI 77492, CI 77491, CI 77499, Parfum. 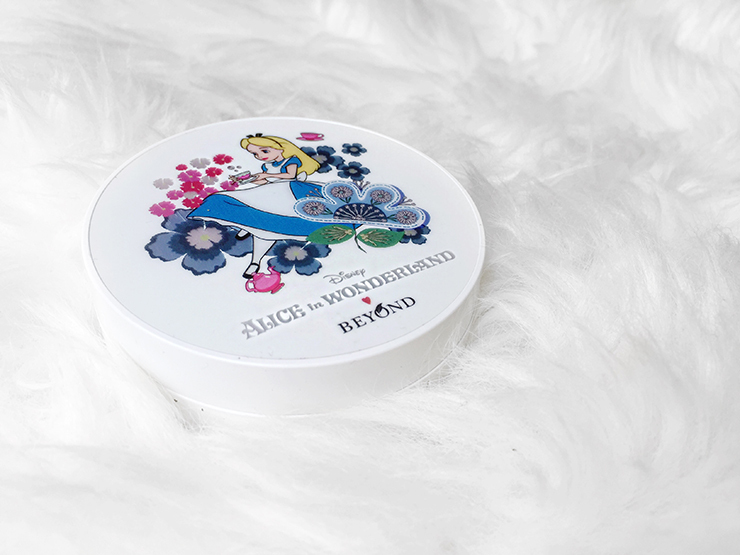 Let's all be honest here: We all just bought it for the packaging. But I mean, it's absolutely gorgeous in person! 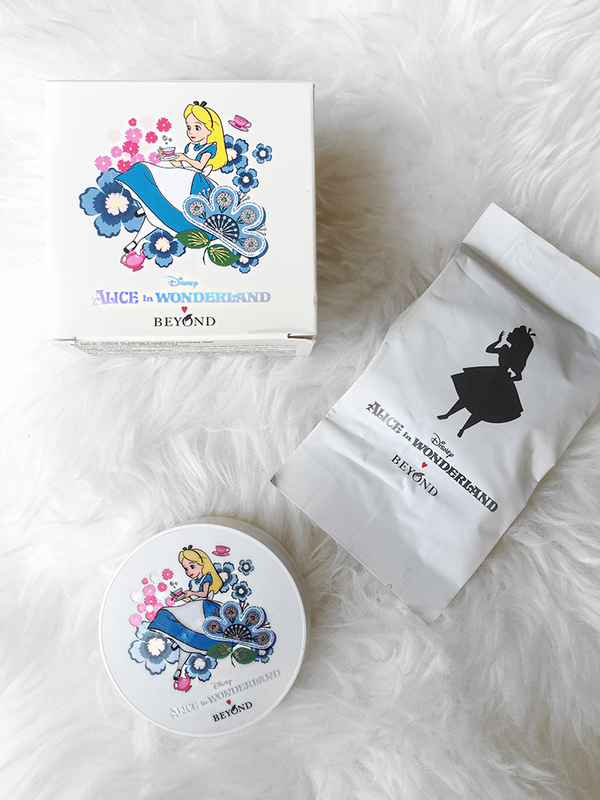 Disney-themed goods work like a charm on me and is one of the reasons why I always leave lots of money on my mandatory trip to Tokyo Disneyland. Always. The prettiest puff that has ever lived. 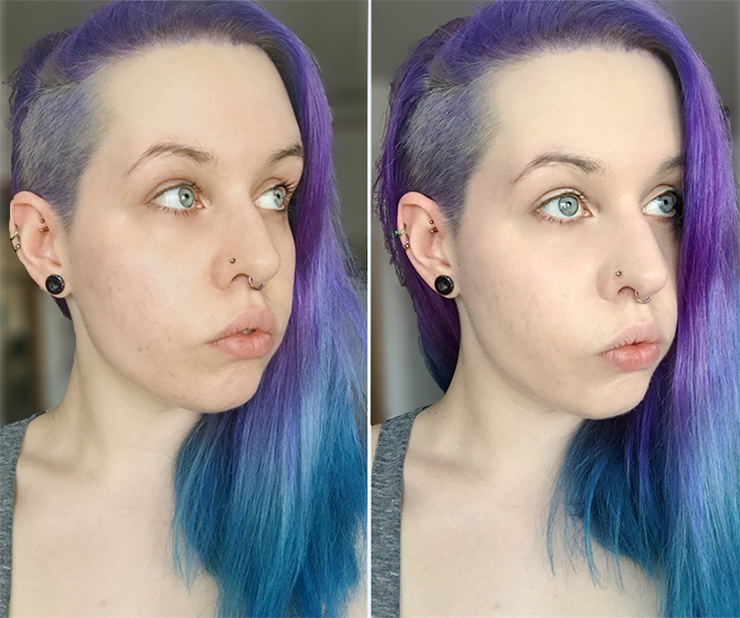 I got the lightest color - as I always do - and was pleasantly surprised that the undertone is still bearably yellow but not overly so. 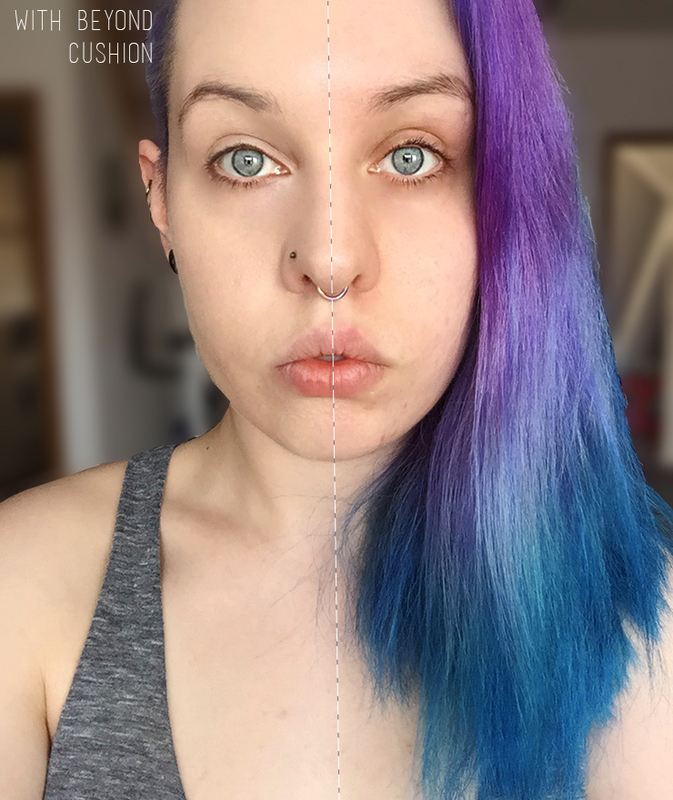 While it's not a perfect match, so is almost nothing make-up wise for me and I must say that it looks more yellow on my arm than on my face. 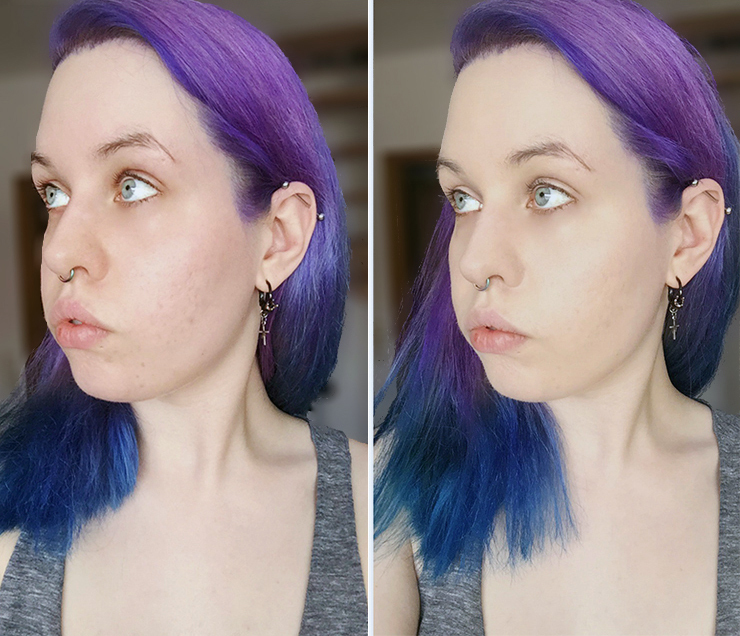 It was very hard to get a good picture showing off all the undertones as the daylight kept changing from bright sunlight to dark cloudy :/ I personally found the Alice In Glow Cushion almost identical to the C21 tone from IOPE (=leaning more yellow/neutral than neutral/pink). 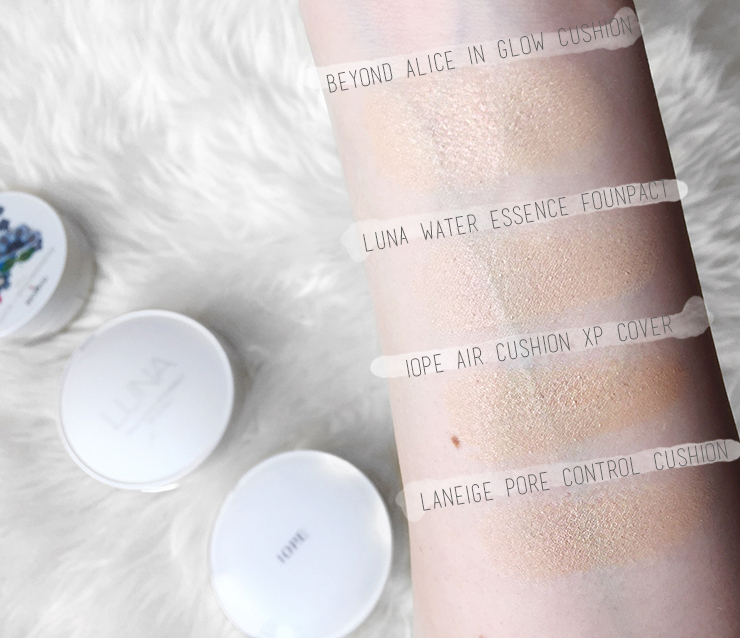 My favorite foundation from Luna as well as the Laneige Pore Control are a tad more light/less yellow. 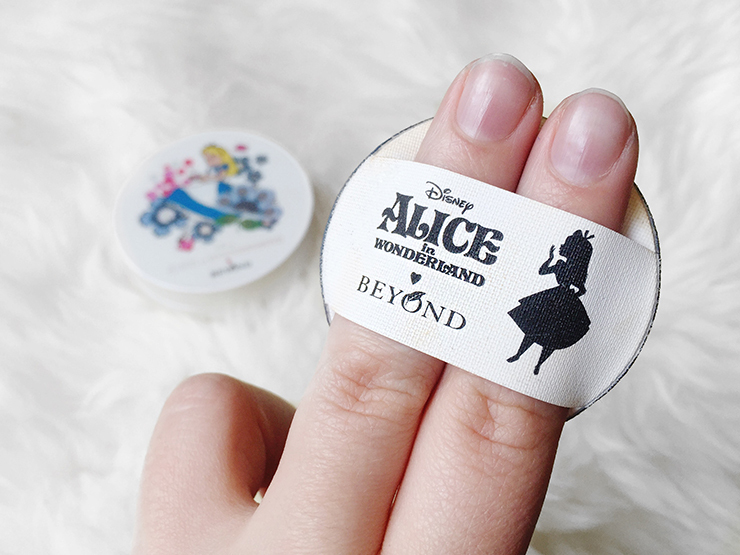 However, I personally don't mind the undertone much as I feel it's not really visible once I apply it on my face. 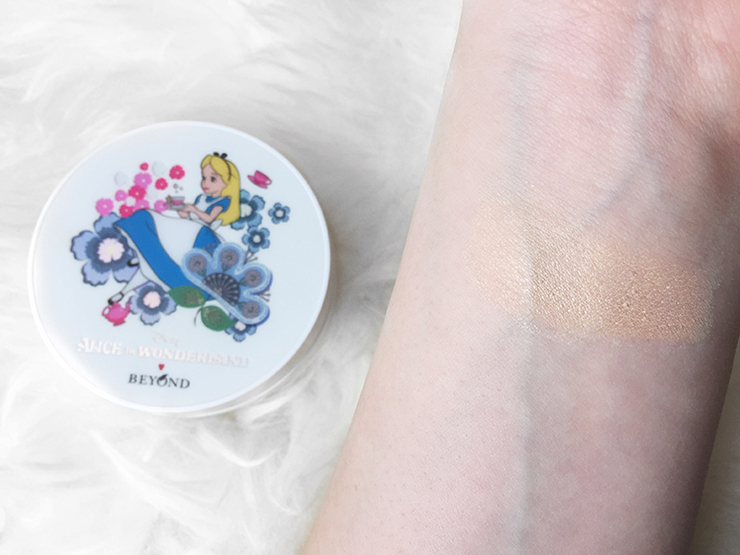 I also noticed that the Alice in Glow cushion darkened quite a bit on my forearm but not as much applied to me face.